Portrait of the detective as an old man: Ian McKellen as Mr. Holmes. When piecing together the clues of a gruesome crime, Sherlock Holmes might well remark “There’s more than one way to skin a cat, my dear Watson.” A seemingly unending appetite for Arthur Conan Doyle’s legendary sleuth shows that there remain yet more ways to tell the story of one illustrious character. The most recent incarnation, by the great Sir Ian McKellen, could not be further removed from Robert Downey Jr’s street-fighting loose canon or Benedict Cumberbatch’s cerebral but troubled genius. Director Bill Condon – who worked with McKellen in his 1998 film Gods and Monsters – presents the eponymous detective as an elderly, grunting and droopy-eyed Eeyore living a sheltered retirement on the south coast of England, more concerned with tending to his apiary than solving murders. The film is based upon American author Mitch Cullin’s ‘A Slight Trick of the Mind’ and is as much a study of growing old, losing one’s marbles and living with past regrets as the kind of tale of intrigue and mystery for which Mr. Holmes is generally known. 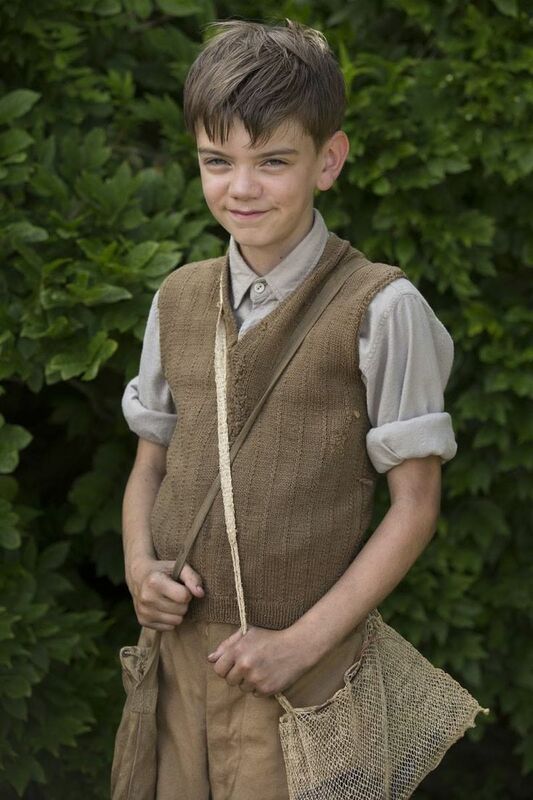 An impressive turn by Milo Parker as a young Mr. Watson-in-the-making, Roger. 1947: after thirty years of a self-imposed exile from Baker Street and the bustle of London, Holmes (at an enviable 93) finds his world-renowned faculties waning. He returns home from a voyage to the desolated Hiroshima with ‘prickly ash’ – a plant with the medicinal purpose of reviving weary grey matter. Haunted by the ghosts of his past, he enlists the help of the wide-eyed, curious and enterprising Roger (Milo Hunter – who is as bright as a button and more than holds his own against McKellen), son of his housekeeper (Laura Linney), to unlock the key to the career-ending unsolved case. When you’re a detective and a man comes to see you, it’s usually about his wife. Ann Kelmot (Hattie Morahan), driven to distraction by the loss of two children she was not able to carry full term, develops an obsession with taking lessons on the glass harmonica. Her husband (Patrick Kennedy) attempts to bring her back from the brink but she disappears without a trace. Past and present then run in unison, the former expanding as jolts of memory prompt a clearer path through the maze of a clouded mind. Writing becomes a process of recollection for Holmes and the investigation proceeds in tandem with beekeeping lessons for Roger, who is a more than capable sidekick. The inexplicable deaths of a number of the hive’s inhabitants are a subtle suggestion of Holmes’ mind also being under attack and that time is of the essence. Whether Condon, or screenwriter Jeffrey Hatcher, intended to place an audience in a similarly befuddled state as Holmes or not, the narrative will have you scratching your head at times. Frequent references are made to ‘Dr. Watson’s Stories’ – a double layer of fiction has a character in Conan Doyle’s stories writing the stories he wrote. The written ending of the aforementioned case troubles Holmes and his diary-writing (in the form of prose) seeks to set the record straight. Confused? You will be. It’s far from elementary. Whilst the debunking of the deerstalker hat (which he never wore) and pipe (which he never smoked) myth is amusing, the convoluted narrative thread is like untangling your fairy lights before Christmas, it seems both overly complicated and unnecessary. Had a viewer never heard of Sherlock Holmes before and watched this film in isolation it would work more effectively. Unfortunately the intertextuality serves more as smoke and mirrors than a good lead. The fabled prickly ash also proves to be ineffective and the Japanese sub-plot is an extraneous excursion which highlights man’s cruelty to man but detracts more than it adds overall. McKellen does of course acquit himself with trademark aplomb, embodying and distinguishing both Holmes old and ancient perfectly. The film succeeds in presenting him here as a man who is able to pick a person apart but whose understanding of those around him was always skin deep, scientific – observations of clothing, appearance and movement led to assumptions but emotion was never a factor. Only with sustained introspection and reminiscence does he change the habit of a lifetime. Mr. Holmes is a departure from Sherlock tales of old as it tells us about Sherlock Holmes when he was old. It is an interesting and worthwhile addition to the never ending collection that you should see for McKellen. Like the great detective, this film has a few faults but you can’t help but be swept up by its charm. Posted in 2015 and tagged Bill Condon, Ian McKellen, Laura Linney, Milo Parker., Mr. Holmes. Bookmark the permalink. BBC FOUR Preview: Treasures of the Indus – Pakistan Unveiled.